Automated data logger records environmental conditions of processes and equipment. Access Real-Time Data via Web Interface. Hourly, daily, and monthly data logs of temperature and humidity conditions for use in documentation and compliance records. Immediate alerts once pre-defined thresholds are met via physical alerts, email, sms* text messages. In manufacturing processes and industrial facilities: monitoring temperature, humidity and other environmental factors can be critical in order to provide a constant, regulated state of control for fabrication and manufacturing processes to produce the high-quality products. Enviromon provides fully customizable solutions to fit your specific needs with a wide range of application specific wired smart sensors and dry contact sensors. Temperature, humidity, voltage, airflow and fuel sensors to name a few: can aid in maintaining optimal conditions of processes and equipment by providing accurate data logging of historical trends and fluctuations as well as immediate alerts when pre-defined thresholds are met. Our smart sensors are powered directly from connected base units via ethernet cables and recorded data is immediately available over your internal network via web interface to the base unit. 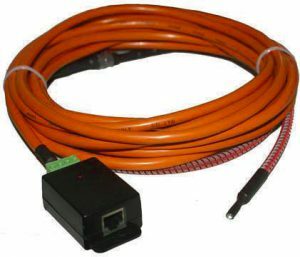 Along with providing a consistent power source and line of communication: ethernet cables have the benefit of having much lower latency and are subject to less interference than connections over WiFi. Our SensorHawk Base Units and SecurityHawk Base Units are also compatible with third-party 4-20 mAmp sensors. 4-20 mAmp Voltage Converter transmitters are common in the industry for use with high quality sensors. With the use of our SecurityHawk series of base units which include built 4-20 mAmp inputs or using our our 4-20 mAmp Voltage Converter for SensorHawk these sensors can be integrated into the Base Unit. 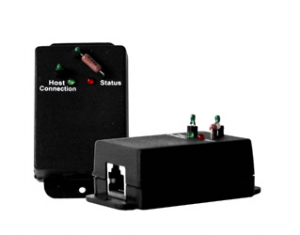 By connecting a 4-20 mAmp sensor to our base units you can dramatically increase its functionality with the addition of graphing, web interface, email interface, thresholds, and limits. SensorHawk and SecurityHawk base units are standalone systems and come with internal software so there is no need to install further software to a PC to manage. Base Units come with between 2 - 8 smart sensor ports depending on type of model; our SecurityHawk 8 Base Unit can be expanded using one or several expansions ports with to a maximum of 600 connected sensors. Autosense “Plug and Play” feature automatically configures your sensors upon connecting to base unit, and the web interface allows to record data and set thresholds for alerting. Recorded data logs are viewable in real-time to see current conditions as well as the ability to review historical data collected over long periods of time. Remote monitoring and monitoring multiple locations or devices can be done simply with the inclusion of CloudHawk service. See below for more information about our CloudHawk add on service. 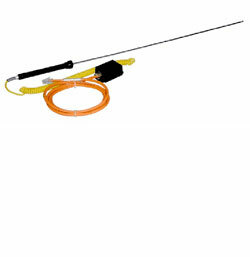 • Liquid Detection of Hydrocarbon fuels at any point along its length. By connecting your SensorHawk base unit to Enviromon’s CloudHawk remote monitoring system. With addition of the CloudHawk service you will be able to monitor laboratory environmental conditions remotely in real-time from any internet connected smartphone or web browser view historical data over chosen periods of time.